Is a work related injury limiting your ability to lead an active life? Workers compensation injuries can affect any employee at any job – you don’t have to work construction or lift heavy boxes all day to be injured. In fact, many of the workplace injuries treated by our Atlanta chiropractor occurred in an office environment. For example, poor posture and ergonomics can lead to chronic neck pain along with carpal tunnel syndrome. All it takes is one misstep to slip and fall on a wet break room floor, leading to a herniated disc and back pain. If you are suffering from work related injuries, Century Center Chiropractic is here to help. Dr. Simon is proud to be the Atlanta chiropractor of choice for countless residents. His integrated approach to injury rehabilitation and pain management combines traditional chiropractic care with innovative treatments like hydro massage and physiotherapy. Dr. Simon can treat your symptoms and provide rehabilitative care without prescription medications being necessary. A back injury is one of the most common work related injuries affecting our patients. A herniated disc typically causes back pain. Poor posture is also a contributing factor. Long hours hunched over a computer screen strains the muscles, leading to soreness and stiffness. The first step towards managing chronic back pain is to identify the underlying cause. If poor ergonomics are responsible, then our Atlanta chiropractor will work with you to correct this situation. Simple adjustments to chair height, back support and computer placement can reduce or completely eliminate back strain. Hydro massage and other healing massage techniques can help relieve your pain as well. If your workplace injury caused a herniated disc in the spine, chiropractic adjustments will help restore proper alignment. As long as the herniated disc compresses nearby nerves, you will continue to experience radiating or numbing pain. Depending on the disc’s location, you may even experience pain the neck or suffer from headaches. Chiropractic adjustments bring back pain, neck pain and migraine relief. Dr. Simon offers a variety of different adjustment techniques, including traditional hands-on manipulation as well as the Gonstead technique and the Activator Method. Depending on your injury, Dr. Simon will create a custom treatment program to address your specific pain management and rehabilitation needs. Thanks to our computer-dependent workplace, carpal tunnel syndrome (CTS) is a common workplace injury. This painful condition is characterized by a burning pain sensation, difficulty holding or gripping objects, and a tingling pain sensation. CTS is caused by swelling around the median nerve in the wrist. This swelling puts pressure on the nerve, which causes pain. A combination of massage, physical therapy and hands-on adjustments help relieve this pain – without the need for medication. Dr. Simon and our chiropractic team have substantial experience helping patients with workers compensation injuries. Our team will help you navigate workers compensation insurance claims – cutting through the red tape so you can receive the care that you need and deserve. 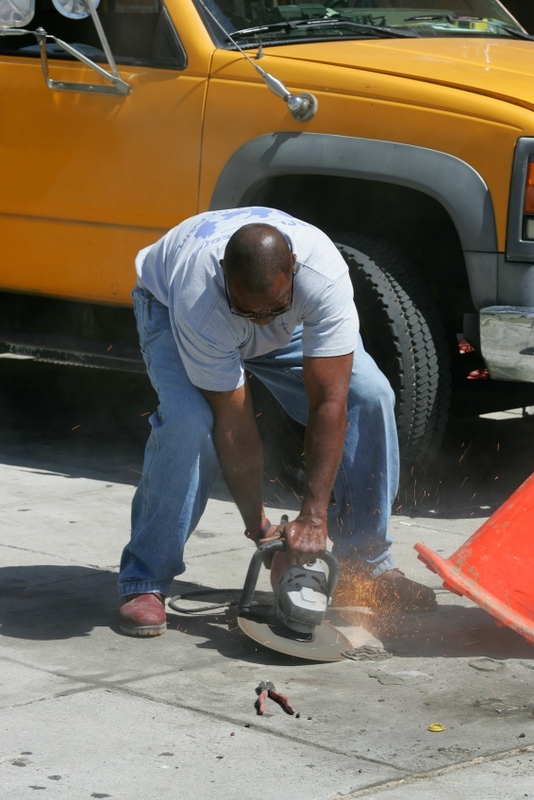 Don’t let a workers compensation injury slow you down – schedule an appointment today!